Made with love and built to last. Click below to custom order. 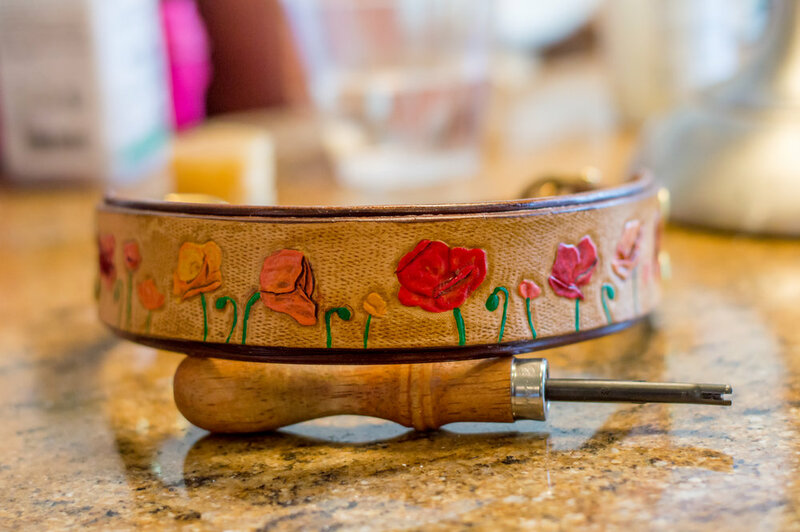 Each collar is hand crafted and made to order. Please expect 2-3 weeks for your collar to be made. Traditional saddle making tools are used to carve and tool our 3-dimensional designs. 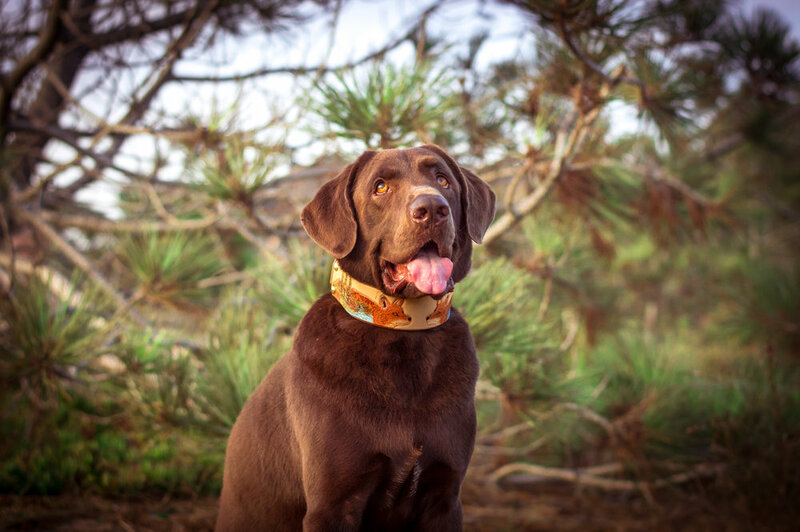 Duke the Chocolate Labrador wearing 'The Fox' collar. Careful attention to detail - making sure all of our edges are smooth and glossy.